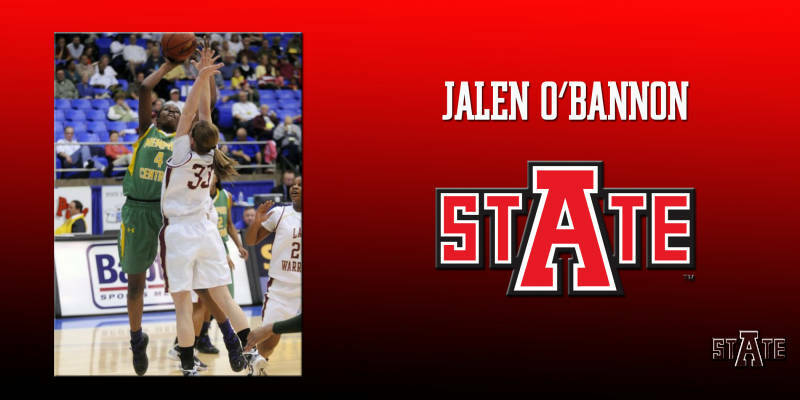 Arkansas State head women’s basketball coach Brian Boyer announced Tuesday that Memphis Central High School standout Jalen O’Bannon has signed a National Letter of Intent to continue her basketball career at ASU. 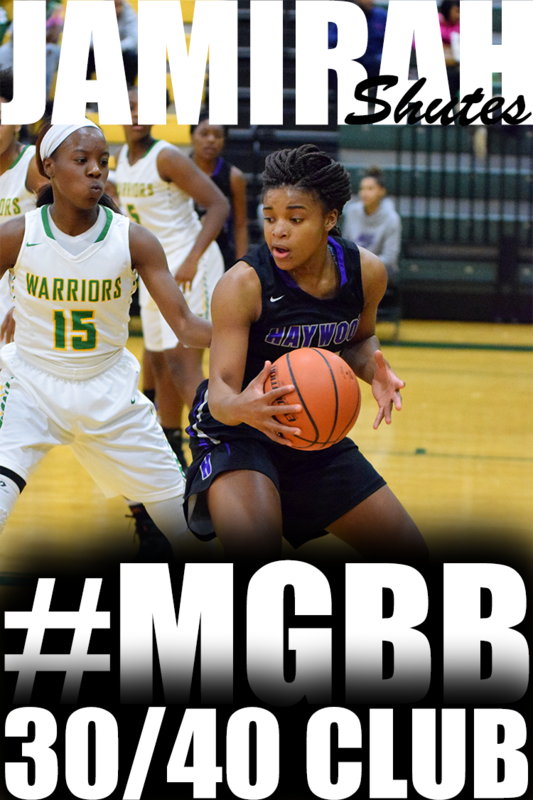 O’Bannon, a 6-1 forward, averaged 7.8 points, 6.7 rebounds, 1.9 steals and 1.4 blocked shots during her senior season, helping the Warriors to their fourth consecutive District 16 AAA championship and tournament championship. 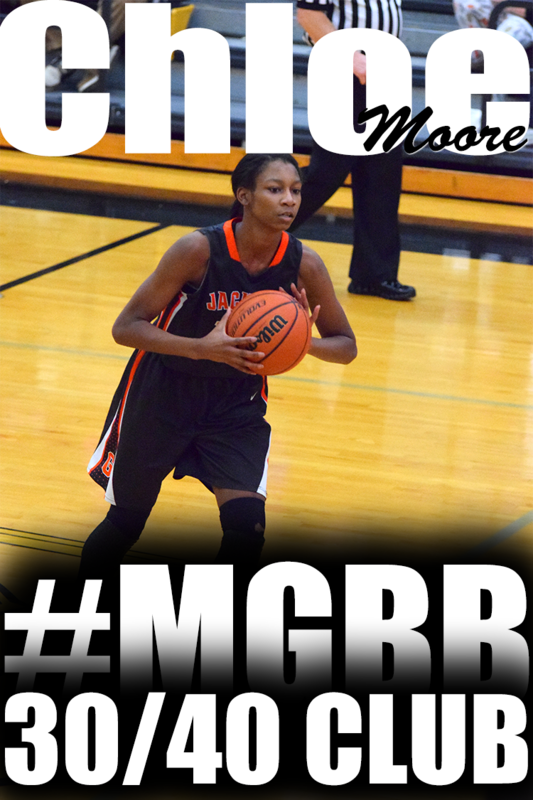 Central posted a 49-1 District 16 AAA record during O’Bannon’s four seasons. 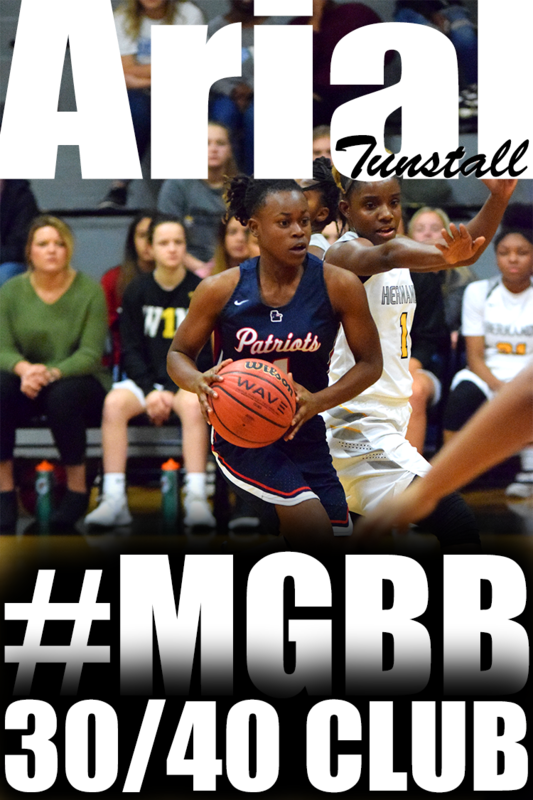 During her senior season, she was also named to the Region 8 all-tournament team after helping Central to the Region 8 championship and the Substate championship. Baseball standout Brady Bramlett of Arlington and Angela Hardy, a multi-sport athlete at Douglass, have been selected as the Memphis Area Fellowship of Christian Athletes High School Athletes of the Year. 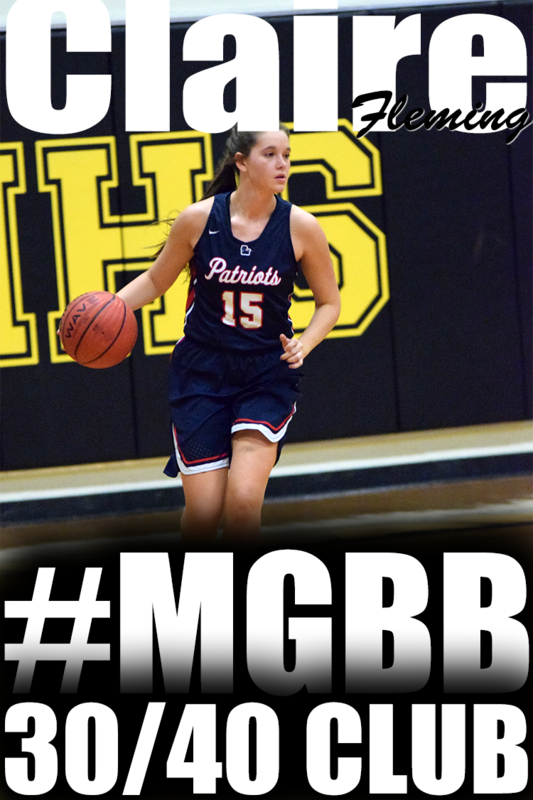 Hardy is a basketball, volleyball and track standout for the Red Devils and has earned all-district and all-region honors in all three sports. She is also involved in her church, school and other service projects in the community. Hardy plans to play basketball at Southwest Tennessee Community College. Bramlett, who has signed to play at Ole Miss, was the Best of the Preps baseball player of the year in 2011 while earning all-state and all-region recognition. He has helped Arlington earn the top-seed in next week's District 14-AAA baseball tournament. Bramlett is the president of Arlington's FCA, was named "Mr. Arlington High School", sings in the all-state honor choir and is a member of the Student Government Association. The awards were presented at Friday's FCA Tailgate Rally that featured Hugh Freeze of Ole Miss and Gus Malzahn of Arkansas State. If you are aware of any other signings, please email popo@girlsbasketballtrainer.com. With a 20-point first-half deficit looming over Tennessee Flight coach Tom Insell, his voice so far gone that his usual barbs came in the form of high-pitched cracks, it's hard to believe the coach and his team had much hope of coming back against the Metros in the semifinals of the Boo Williams Nike Invitational gold bracket. But somehow Insell held on to hope. Elite-Holmes finished 3rd in 17u Signature division going 3-1. Elite-Daniels finished 17th in 17u National division going 3-1. Shacobia Barbee (Riverdale); Nina Davis (Memphis Central); Bashaara Graves (Clarksville); Ashlee Mitchell (Tennessee High); Tianna Tarter (Science Hill); Hannah Goolsby (Cookeville); Jai-Jai McLaughlin (Bearden); Sydney Carden (Knox Halls); Leslie Berquiest (Morristown East); Cornelia Fondren (Overton); Tyisha Petty (Riverdale); Alexa Middleton (Riverdale); Caya Williams (Mt. Juliet). Elizabeth Masengil (McMinn Central); Rachel Bell (Creek Wood); Abbey Sissom (Cannon County); Abby Miller (Livingston Academy); Taylor Randolph (Upperman); Bre Hall (Fulton); Jayda Johnson (Fulton); Chelsey Moore (Loudon); Laura Johnson (Grainger); Brandi Goodman (Obion Central); Macy Wright (Obion Central); Tiffany Jones (Manassas); Lauren Thompson (CPA); Faith LeGate (CPA); Karly Frye (Chuckey Doak). T.T. Flowers (Lake County); Rachel Garland (Moore County); Kelsey Risner (Wayne County); Brooke Rhodes (Cloudland); Sydney Roach (Clay County); Casey Cooper (Clay County); Caroline Warden (Jackson County); Sarah McKinnon (Tellico Plains); Lindsey Higgins (Harriman); Lexi Lowery (Cosby); Amber Fair (Union City); Carly Dickens (Clarkrange); Jaycee Coe (Jackson County); Makenzie Hensley (Jackson County); Leeann Baggett (Houston County). Kaylah Keys (Harding Academy); Kaylan Pugh (St. Mary’s); Derica Wyatt (FRA); Chadarryl Clay (GPS); Lauren Douglas (Briarcrest); Christina Slay (Ensworth); Simone Busby (GPS); Sarah Galvin (PJP II); Molly Melton (Knox Webb); Kelsey Brown (Knox Webb); Jane Romano (Knox Webb). The Kent State University Department of Athletics will hold a 1:00 p.m. news conference Thursday, April 19 on the main floor of the M.A.C. Center to announce the hiring of Danielle O'Banion as Golden Flashes' head women's basketball coach. 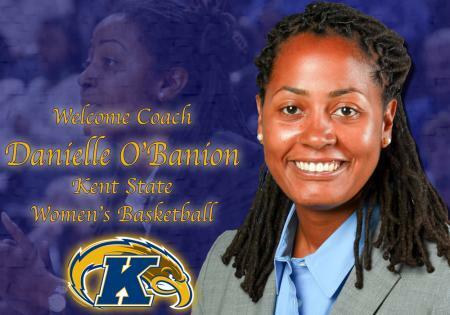 O'Banion takes over the Kent State program following a four year stint in Memphis, including the last two as Associate Head Coach. Owning the reputation as a proven national recruiter, she served as designated recruiting coordinator for the program helping the Tigers ink three nationally-ranked recruiting classes. The highly touted recruiting classes fostered by O'Banion have lived up to their billing on the court as well guiding the program into the postseason each of the last three years. 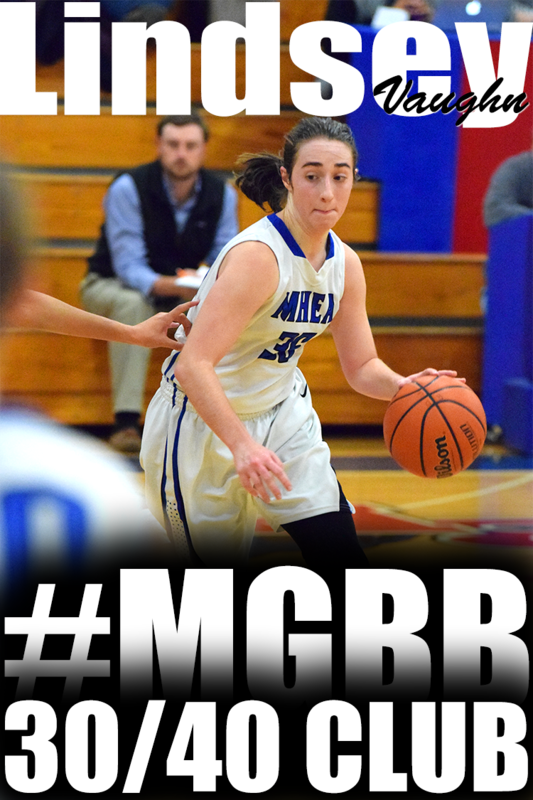 With her guidance Memphis has accomplished just as much in the classroom during her tenure. The program has currently graduated 29-straight seniors from its roster, not counting the five-member class of 2012 (two of which already have their respective degrees). Just this last fall six student-athletes from the team achieved a GPA of 3.0 or higher. Classroom success and deep runs through the postseason are nothing new to the Arlington, Va. product. In 10 years as a collegiate coach she has been on staff for nine postseason teams, including a Final Four and two Sweet 16 berths while on staff at Minnesota from 2003-07. In addition she has been a part of two other first round NCAA appearances with the Gophers and one while at Harvard in 2002. Kent State students, faculty, staff and the general public are invited to attend. After a storied 38-year career, Pat Summitt is stepping down as head coach of the Tennessee women’s basketball team to become a coach emeritus with the program. Lady Vols associate head coach Holly Warlick will be named the new head coach. Summitt said that she met with Tennessee athletic director Dave Hart and Warlick this morning to finalize the transition. She said that the decision was hers and she’s comfortable with it. "I feel really good about my decision," Summitt said. "I think this is going to be a win-win situation for everybody. Holly and I will work really well together." Summitt announced last August that she had been diagnosed with early onset dementia, Alzheimer’s type, but continued to coach with the blessing of university officials. In the wake of her announcement, Warlick assumed a bigger role, taking on many of the responsibilities normally reserved for the head coach. "I feel like Holly’s been doing the bulk of it,’’ Summitt said. "She deserves to be the head coach. I’m going to support her. No doubt, I’ll be there for her." Summitt conceded that she doesn’t yet know the full scope of her new position. "We had to give it a name; that’s pretty much what it is,’’ she said. "They kind of outlined everything. I don’t know exactly what it’s going to be." It’s Summitt’s understanding that she still can attend practice and talk to the players. She also said that she can call recruits, which will be of paramount importance. The Lady Vols currently have just six returning players on campus and three high school seniors signed for next season. Warlick will be making her head coaching debut after spending the past 27 seasons as a UT assistant, a tenure that began with the 1985-86 season. While acknowledging the difficulties of her revised role last season, Warlick, a former Lady Vols point guard, seemed more comfortable in her role late in the season. If so, Summitt was a big reason why. "She was very complimentary of me and so that to me means so much and to these kids because I’m doing something in front of the best coach in the world,’’ Warlick said before the NCAA tournament. "And I’m not trying to be Pat Summitt. I’m trying to take what she’s given me and carry on with this team." Tennessee’s season ended with a 77-58 loss to eventual national champion Baylor in the final of the Des Moines (Iowa) Regional. During her career, which began with the 1974-75 season, Summitt coached Tennessee to eight national championships. She finished this season with 1,098 career victories and stands alone at that victory plateau among all NCAA coaches. Gene Bess of Three Rivers Community College in Poplar Bluff, Mo., entered the season with 1,131 victories at the junior college level. Summitt’s annual salary started at $8,900 in 1974. This season, her total compensation package was $1.5 million. Earlier this month, senior Glory Johnson became the 21st player coached by Summitt to be named a State Farm (formerly Kodak) All-American. These players accounted for 36 total All-America honors under Summitt’s tutelege. Summitt has two basketball courts named after her — one at Thompson-Boling Arena and the other at her alma mater, UT Martin. She also has a street named after her on both campuses. Applying for college financial aid is one of the few things in life that may be even more confusing and complicated than taxes. It involves getting together loads of financial information, learning an alphabet soup of acronyms, and understanding how the financial aid system works. Athletes that are ready to compete at the college level may be too busy with homework, practice, camps, and workouts to sit down for hours and study every last detail of the financial aid process. But to give yourself the best chance of using athletics to pay for your education and get ahead in life, it is crucial that you have at least a basic understanding of how financial aid works. 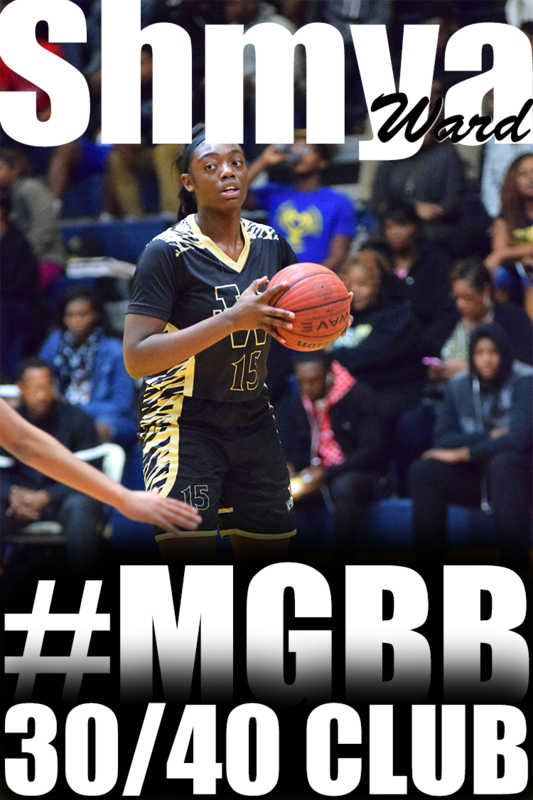 Brittany Carter (Covington, Ga./Newton County HS) signed a training camp deal with the WNBA’s Connecticut Sun it was announced by the team’s front office Tuesday. Carter becomes the first Tiger to be invited to a WNBA camp since Tiffany Adkins was invited following her senior season in 2001. 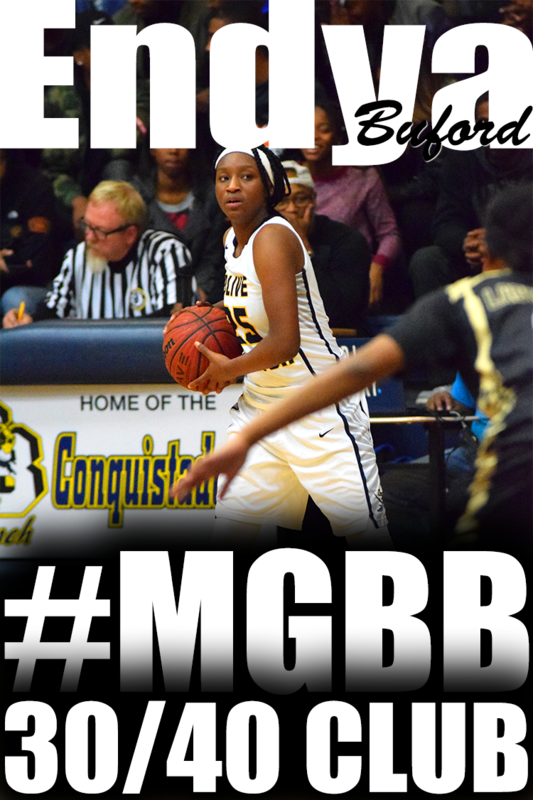 Carter is trying to also become the first Tiger since Victoria Crawford (2001-2005) to play professional basketball. Crawford played professionally in Israel and Iceland after graduating in 2005. Carter, a three-time all-Conference USA honoree, capped her Tiger career earlier this spring as the program’s 13th-leading scorer (1,437 points), averaging 15.5 ppg for her three-year career. 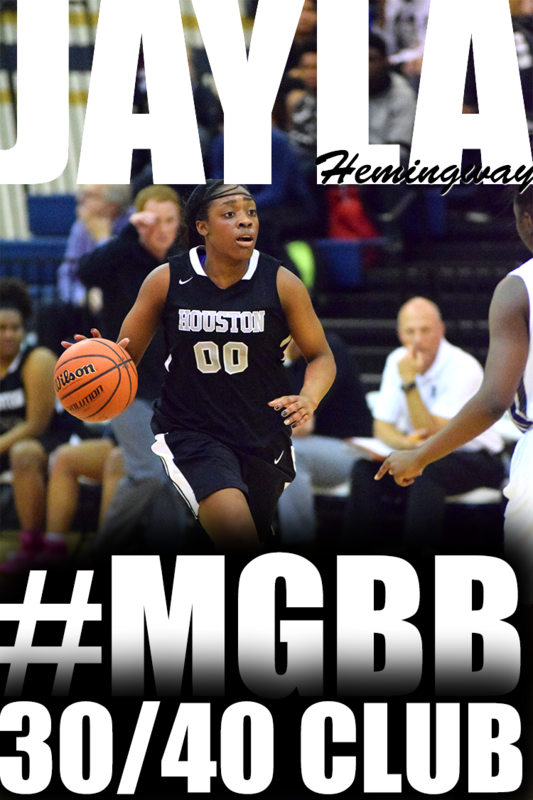 She also added 4.5 rebounds a game and 44 blocked shots in 93 career games. The Covington, Ga., native holds the University of Memphis single game scoring record (men’s or women’s) with a 49 point effort against Sacramento State at the University of Washington tournament. She was the first Tiger to earn three All-C-USA honors since Tamika Whitmore, who capped her WNBA playing career with the Connecticut Sun in 2008 and 2009. Nnemkadi Ogwumike is excited to be staying in California. The Stanford senior was picked No. 1 in the WNBA draft by the Los Angeles Sparks on Monday. "I'm grateful for the L.A. Sparks for picking me," Ogwumike said. "It means a lot and it's one of the highest accolades I've ever received. I'm looking forward to going back to Cali." 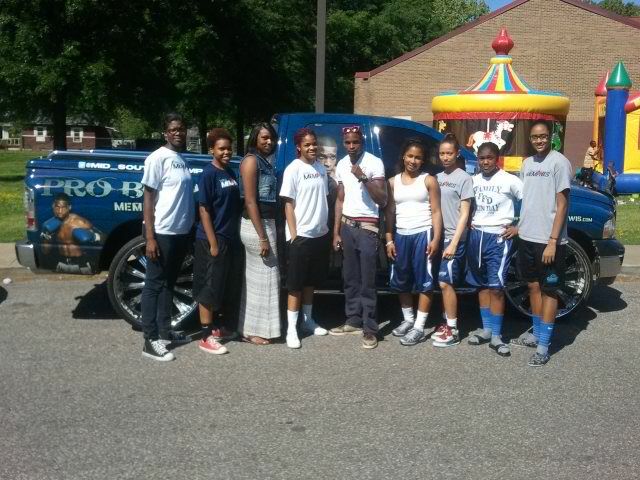 Memphis teams participating Team Memphis Elite - Williams, Team Po Po, and Team Tennessee Glory - Malone. 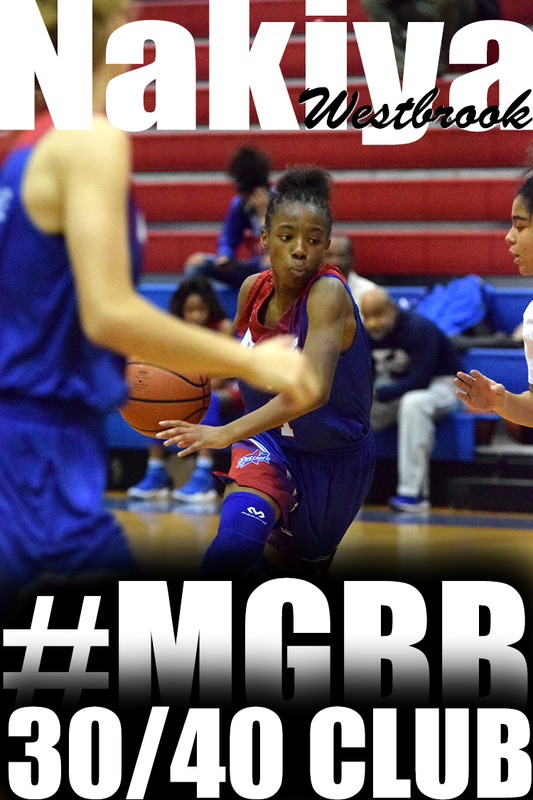 Memphis teams participating: Team Memphis Elite-Daniels, Team Memphis Elite-Holmes, and Team Tennessee Glory 2014. The Adidas Mid-South Senior All-Star Game is scheduled to take place Saturday, April 14, 2012 at 3:00 p.m. at Olive Branch High School in Olive Branch, MS. There will be a three point contest, dunk contest, and skills challenge. There will also be a FREE basketball camp at Ira Samelson's Boys and Girls Club prior to the game events. This event is sponsored by Adidas, Memphis Magic Elite AAU Basketball Program, The Mid-South Basketball Academy, Eloquent Concepts, and The Boys and Girls Club. For information, call 901-264-0223. On Saturday April 6th, Team Memphis Elite Daniels participated in Pro Boxer Marlon Lewis 200+ Easter baskets give away at Hollywood Community Center (1560 North Hollywood). Tiara Caldwell (Millington Central High), Teresa Mays (Wooddale High), Odequa Ogiboke (Ridgeway High), Tanelle Walker (Overton High), Mid South Boxing Champ Marlon Lewis, Brianna Mitchell (Germantown High), Elexa Guy (Wooddale High), Taylor Barnes (Ridgeway Middle), and Kelsey Briggs (Overton High). Not pictured is Head Coach Eric Daniels and Asst. Coach Patrice Boyd. Shooting, Moves, Explosiveness, Footwork, Strength Training, Conditioning... Are all demonstrated in this video of Miami's Chris Bosh Work Out.. You even get to hear Memphis' Own Yo Gotti..I Love It! Team Tennessee Glory 2014 opened their club ball season at the Showtime Shootout in Murfreesboro, TN. March 30 – April 1. The Glory opened up with a 93 to 14 clinic against the No Limit squad from Atlanta, GA. on the strength of Ashley Jackson (Ridgeway), Chyna Ellis (Arlington) and Brandy Alley (Mt. Juliet). 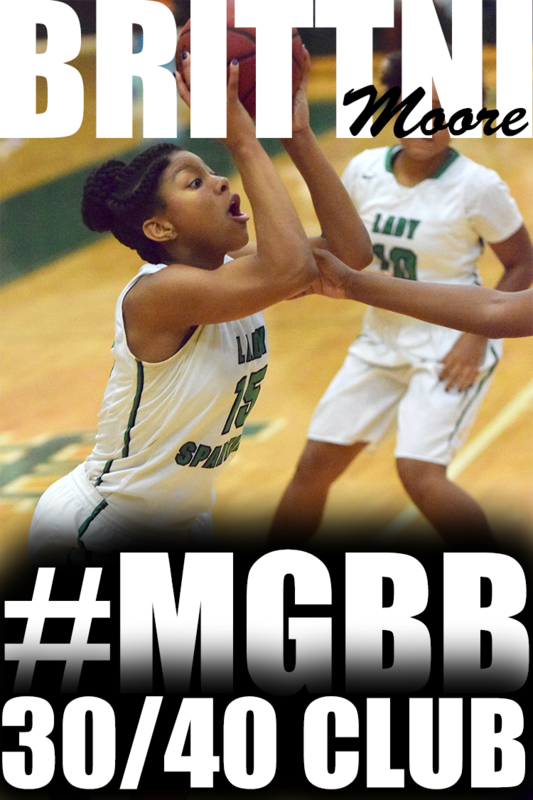 The Glory never looked back as they faced and defeated four separate Nike TN Flight squads with masterful performances by Courtney Banks (White Station), Jasmine Cincore (Briarcrest) and Torri Lewis (MHEA) as well as superb shooting and defense by Gabrielle Salazar (Briarcrest), Sidney Smith (Briarcrest) and Shuntavia Rodgers (Bartlett). The Team Tennessee Glory 2014 won the championship going a perfect 5-0. Four of the Team Tennessee Glory 2014 athletes: Jasmine Cincore, Chyna Ellis, Ashley Jackson and Torri Lewis (2015) have been offered D1 college athletic scholarships. The team will travel to Raleigh-Durham, NC on April 20-22 to compete in the Deep South Classic college exposure event. Terri Williams-Flournoy, who spent the previous eight seasons as Georgetown’s head coach, has been named the women’s head basketball coach at Auburn. Williams-Flournoy, who led the Hoyas to three consecutive NCAA tournament appearances, becomes the sixth head coach in Auburn’s history. Williams-Flournoy will be formally introduced today. She replaces Nell Fortner, who resigned after the season. 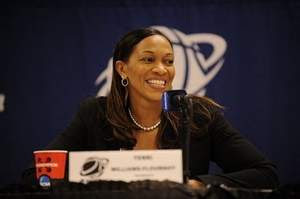 A 20-year coaching veteran, Williams-Flournoy led Georgetown to a four-year run from 2008-12, that was the most successful period in the program’s history, while posting an overall mark of 143-104 during her eight-year tenure. In the last four seasons, the Hoyas were 93-41, advancing to the NCAA tournament in 2010, ’11, and ’12, while making a Sweet 16 appearance in 2011. They were a WNIT quarterfinalist in 2009. Tennessee women's basketball coach Pat Summitt announced today that assistant Mickie DeMoss was leaving her staff to join the WNBA’s Indiana Fever. “From my perspective, I am so excited for Mickie,” Summitt said in a UT release. “Coaching at the next level has always been one of her professional aspirations, and the Fever is one of the best teams in the league. A 35-year veteran at the very height of NCAA women’s basketball and the 2006 SEC Coach of the Year, DeMoss served 20 seasons as an assistant and associate head coach at Tennessee. She spent three seasons as an assistant to Gail Goestenkors at Texas and served four years with record-breaking results as the head coach at Kentucky. Brittney Griner and undefeated Baylor proved to be too tall a task for surging Stanford. So once again, the Cardinal are heading home without that elusive national title. Stanford just can't seem to get over the hump, losing to the Lady Bears 59-47 on Sunday night in the NCAA semifinals. This was the Cardinal's fifth straight trip to the Final Four and they have yet to cut down the nets in two decades. Notre Dame is back in the national championship thanks to Skylar Diggins' steady leadership and Brittany Mallory's clutch shooting. Diggins scored 19 points, Mallory hit two big 3-pointers in overtime and the Irish beat Connecticut 83-75 on Sunday night. The two hooked up for a game-turning play in overtime when Diggins stood her ground on a fast break, blocked the shot to prevent the Huskies from retaking the lead, then fed Mallory at the other end for her second important 3. "That was game-saving. 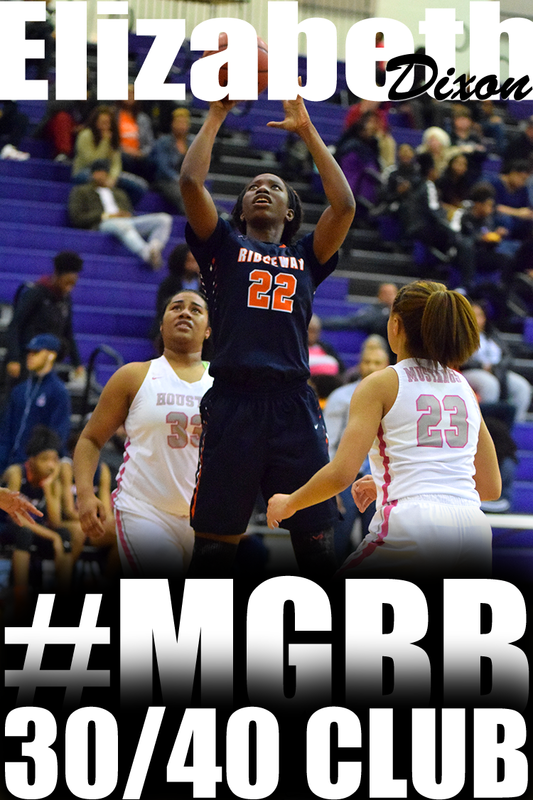 That was huge," Notre Dame coach Muffet McGraw said. "That would have turned it around if they made that layup. She sprinted the floor, made that huge play. It gave us such a big momentum lift, and Britt hitting that 3 made it a huge play."